Esteemed Chinese restaurants have jostled with gambling tables for the attention of visitors for years in Macau, and they have now become one of the top draws for tourists. 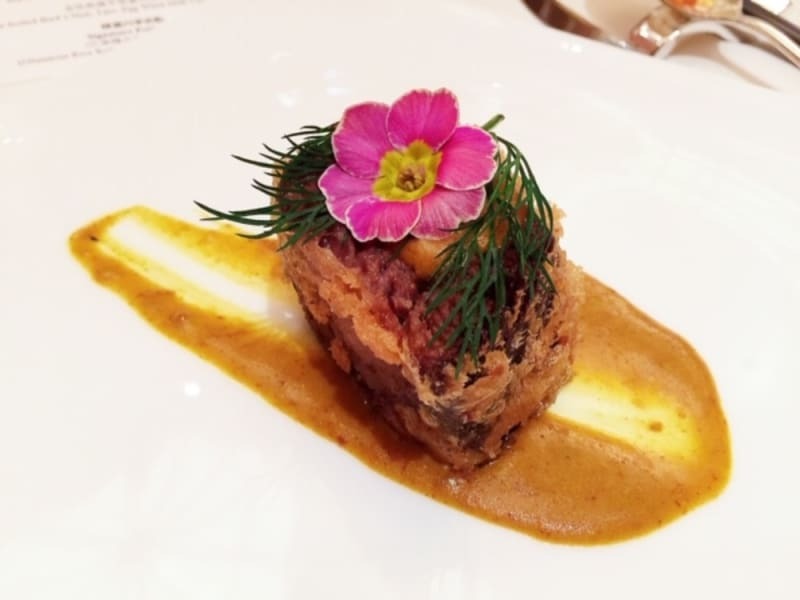 We recently paid a visit to acclaimed Zi Yat Heen at Four Seasons Hotel Macao to taste the refined craftsmanship of Executive Chef Charles Cheung. Chef Cheung has more than four decades of culinary experience under his toque, having sharpened his skills at some of the finest Cantonese restaurants in Hong Kong. He played a key role at East Ocean Gourmet Group, where he studied under his mentor, master of Cantonese cuisine Chung Kam. 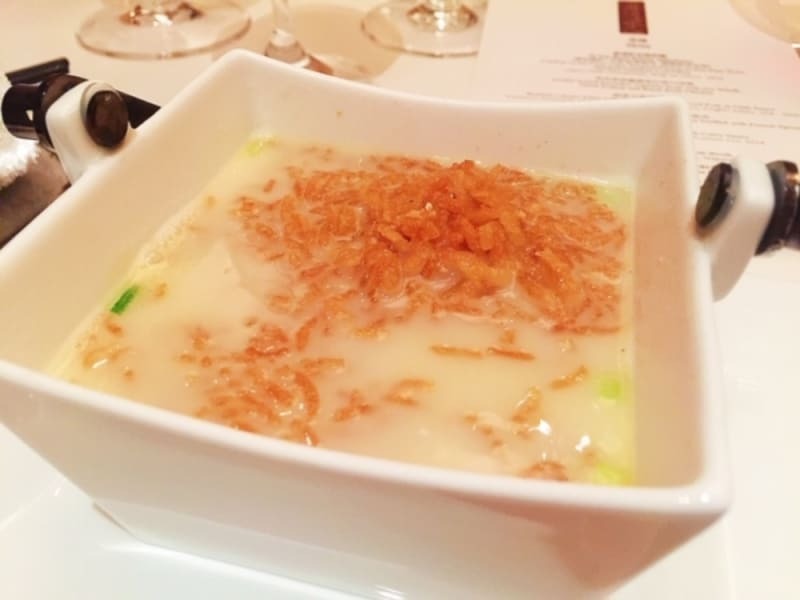 This year marks the 10th time that Zi Yat Heen has maintained its one-Michelin-star status, and Chef Cheung’s involvement has been instrumental in maintaining this accolade. We recently sat down to indulge in Zi Yat Heen’s tasting menu to experience the delicate craft of Cantonese fine dining. 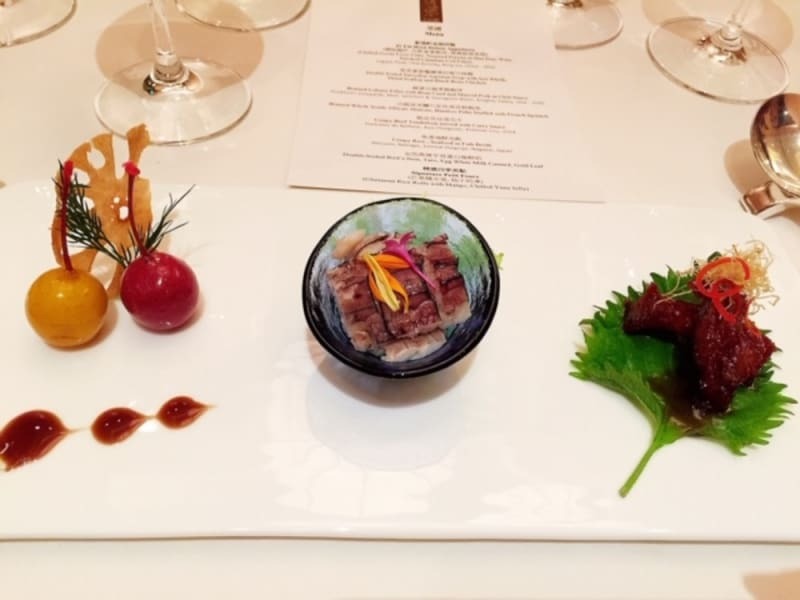 A trio of appetisers, ranging from chilled goose liver shaped like cherries, to steamed mantis prawns infused with hua diao wine, to caramelised smoked Canadian cod. Amongst the three, the prawns were a standout, with the Chinese liquor highlighting the sweetness of the seafood. We’ve had mantis prawns before, usually either stir-fried or flash-fried with garlic, but this was the first time we’ve had them steamed with hua diao. 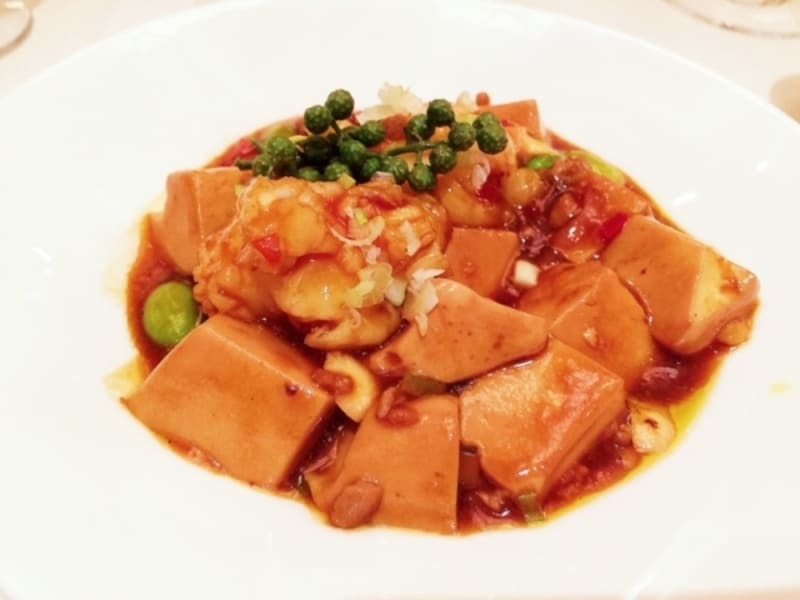 We love a good mapo tofu, and Zi Yat Heen’s rendition gives the humble dish an elegant twist with the addition of braised lobster fillet. Sweet lobster paired with subtly numbing peppercorn and chilli made this a winning tofu dish. 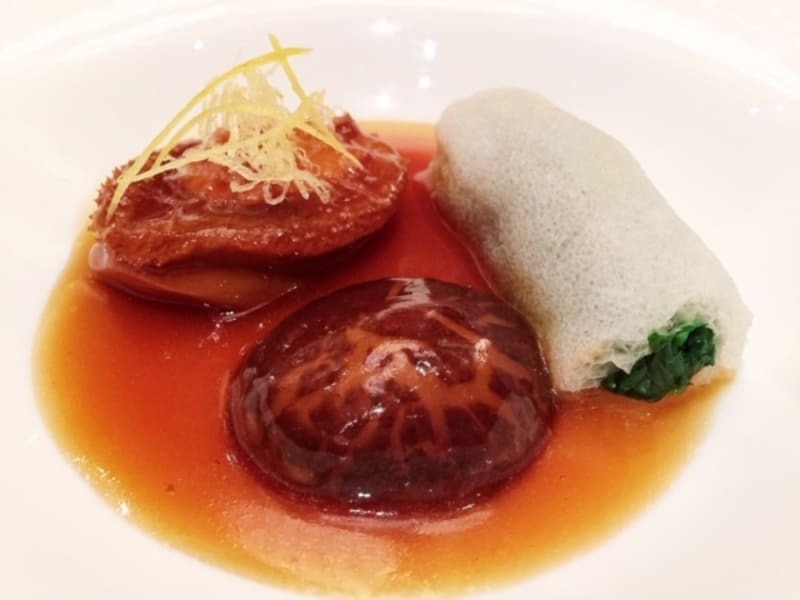 Braised whole South African abalone with shiitake mushroom and bamboo pith stuffed with spinach was a classic Cantonese favourite. We aren’t huge fans of abalone, but this one was perfectly cooked, with plenty of bounce. Also a twist on a classic Cantonese dish, juicy tenderloin was flash-fried, then paired with house-made curry sauce. The complexity of the curry worked well with the fork-tender beef. This photo does not do this crispy rice and fish broth justice – this was the hero of the evening. An audible crackle was heard as the crispy rice was poured into the creamy seafood broth at the table. Even after being submerged in the broth for what seemed like ages, the rice still retained its irresistible crunch. The seafood broth was made with deep-sea, high-quality fish – hence the creaminess. 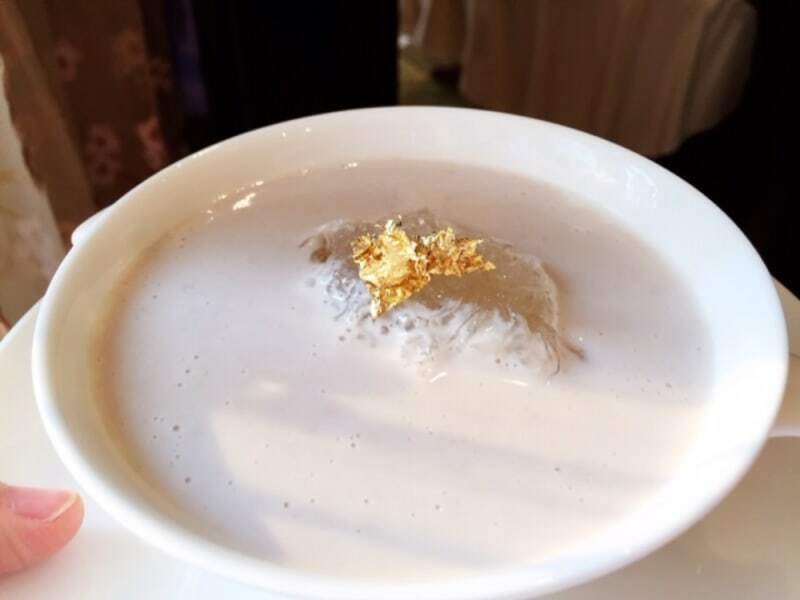 A headlining dessert of the restaurant, the double-boiled egg white milk custard with creamed taro and bird’s nest provided velvety deliciousness. 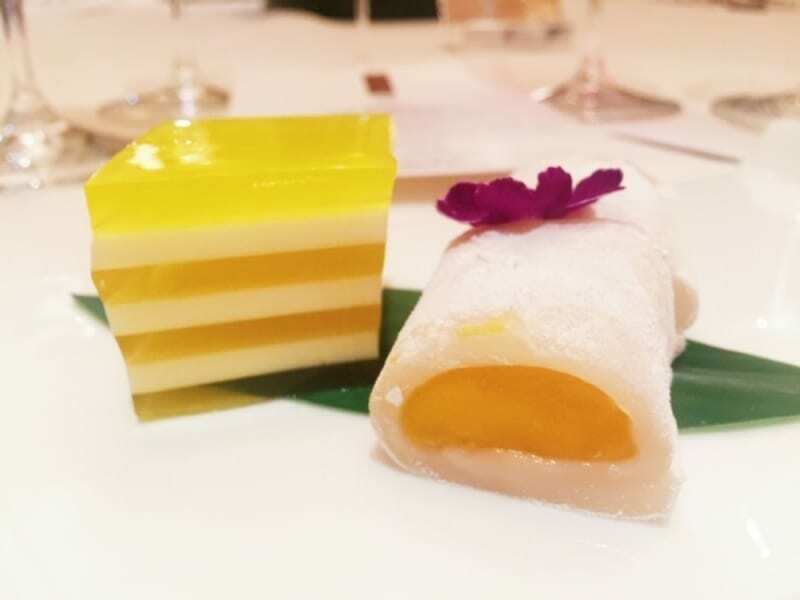 Just in case we weren’t yet full, there was chilled yuzu jelly and glutinous rice roll with mango to finish. Zi Yat Heen’s tasting menu is a gastronomic treat for connoisseurs of Cantonese cuisine. It’s built on the bones of classic Cantonese dishes but modified to suit the times. Priced at $2,800 per person, with an advance order of three days, the hefty price tag does call for a special occasion.